Macau is often described as “The Las Vegas of the East”. Considered to be one of the hottest party destinations in Asia, it is home to some of the worlds most elaborate, luxurious and expensive casino resorts. However, while it’s nothing short of a gambler’s paradise, the island, located in the People’s Republic of China, hasn’t been doing so hot on the gambling front, with profits steadily sinking for over a year. According to a report from Reuters, Macau casino revenue plummeted 34.5% in July from last year. This was the result of wealthy Chinese gamblers staying away from the world’s largest gambling hotspot. Furthermore, according to government figures, for over a year, Macau casino revenues have been dropping 30% to 50% each month, and this trend did not take a turn from last year. Why the continual drop in profits. For starters, China is experiencing a general economic slowdown. Secondly, the anti corruption drive implemented by Chinese President Xi Jinping has scared many people into taking a much more conservative approach in Macau. In fact, because of the anticorruption drive, the number of visitors permitted to the island has been limited and visitors’ debit cards have been monitored. However, the primary reason for the low profits is the drop in high rollers. High rollers are the top consumers with the most money, but with tighter rules and limitations, revenue from wealthy Asian players in Macau has sunk 56% since the same time last year. Although high rollers may have stopped dropping their cash in Macau, these gamblers have sought out other alternatives and are now heading to neighboring countries. Some junket operators are directing their efforts to locations with fewer restrictions. Frank Ng from David Group (one of the junkets) told Bloomberg Businessweek that David Group intends to move into Vietnam, the Philippines, South Korea, and even intends to eventually do business in Europe and Australia. Russia is also hoping to become the new choice destination for Asian high rollers. 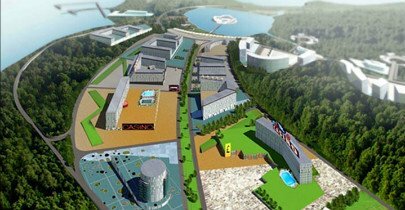 The country will soon be opening Primorye, its multi-billion casino complex. With a superb location, Primorye vicinity to the asian market could mean much in the coming years. According to the Macau Daily Times, the Tigre de Cristal, the first casino in the complex, is slated to open this month. What makes it notable is that it’s been developed and will be managed by the company behind the City of Dreams developments in Manila and Macau, Lpatternawrence Ho’s Summit Ascent Holdings Ltd.
Another reason why Russia is likely to attract gamblers is that Primorye is closer for gamblers in northern China, Japan and South Korea than Macau. Furthermore, Russia has no visa requirements or currency restrictions for South Vietnamese nationals. In addition to growing competition, heists aren’t helping Macau, either. 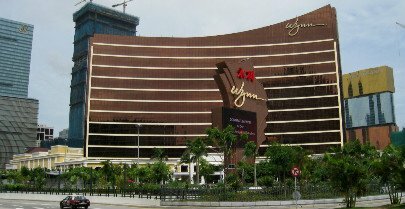 Aside from a $1.3 billion heist from junket Kimren, which occurred in April of last year, recently, the Hong Kong-based investment bank Daiwa Capital Markets, published a report stating that as much as $258 million had been stolen from Dore Holdings, a junket operating inside Wynn Macau, a holding of Wynn Resorts. According to Business Insider, it’s suspected that the employees of the junket were the ones behind the theft. Wynn Resorts (company) in macau toke a blow with the latest publicized heist. This has an effect on Macau’s profits because junkets operate as middle men for Macau marketing operators. Junkets lend high rollers money and organize casino trips, collecting any debts when players return to China. Junkets are important to these players because the finances that high rollers from mainland China can bring into Macau are restricted by the government. Therefore, the heist is likely to cause serious damage to Macau’s high roller market, which makes up half of Macau’s gambling revenue. With 14 consecutive months of declining gambling revenues, some feel that Macau should be investing in non-gambling attractions. Unlike Vegas, Macau is lacking when it comes to diverse forms of entertainment. While the island has tried to diversify its economy, it has met little success, raising the question if it can ever achieve its goal of developing its tourist venue beyond gambling. It is the hope of officials that by increasing the number of resorts and hotels in Macau, that this will boost the number of Vegas-style tourist attractions. A new casino resort on the island, Studio City, set to open next month, will feature a Batman-themed virtual reality ride and a Ferris wheel. Meanwhile, another resort, scheduled to open in 2016, Parisian Macao, will feature a half-sized replica of the Eiffel Tower. Only time will tell if Ho is right or not.